Medios de cultivo estériles y deshidratados que se insertan individualmente en una placa de Petri y están esterilizados. 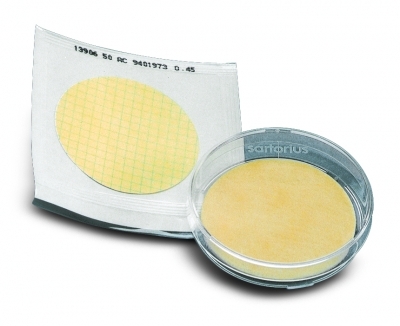 Sartorius Nutrient Pad Sets are used in the membrane filter methods. The membrane filter method allows large sample volumes with low microbial count to be tested. Inhibitors, such as essential oils or disinfectants, can be rinsed out after filtration, before incubation.Practical and easy to handle, Nutrient Pads reduce labor and simplify many microbiological testing procedures. Microorganisms require the appropriate culture media for optimal growth.Nutrient Pad Sets are sterile, dehydrated culture media. Once they are moistened with 3.0 – 3.5ml of sterile and demineralized (or destilled) water they are ready-to-use immediately. The level of moisture is optimal when an excess ring of water surrounding the NPS is visible.All Nutrient Pad Set types are supplied with the appropriate membrane filters, which are also individually, sterile packaged. 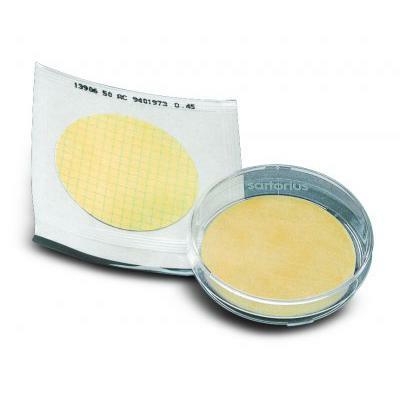 The membrane filters tailored to meet the special requirements of microbial detection are available with 47 or 50mm diameter. The standard NPS box contains 100 sterile Nutrient Pads, each of which is individually inserted in a petri dish and sterilized. 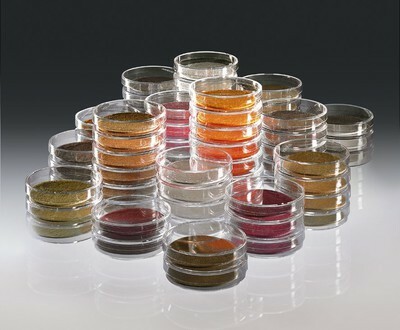 Ten each of these petri dishes are sealed in an aluminum bag. This special packaging in bags protects the sensitive formula constituents of the Nutrient Pad during transport and storage from fluctuations in humidity and temperature. As a result, it guarantees the high quality of NPS throughout their entire shelf life up to 24 months. More than 30 different Nutrient Pad Set types are available to meet the diverse objectives of microbiological analysis. Beyond the European drinking water directive, they comply with other international regulations and recommendations: international pharmacopoeias, DIN and ISO standards, the American Standards for Water and Foods, mineral water regulations, brewery guidelines, such as MEBAC or EBC, and recommendations of the food industry, such as LMBG, NCA and ICUMSA, etc.